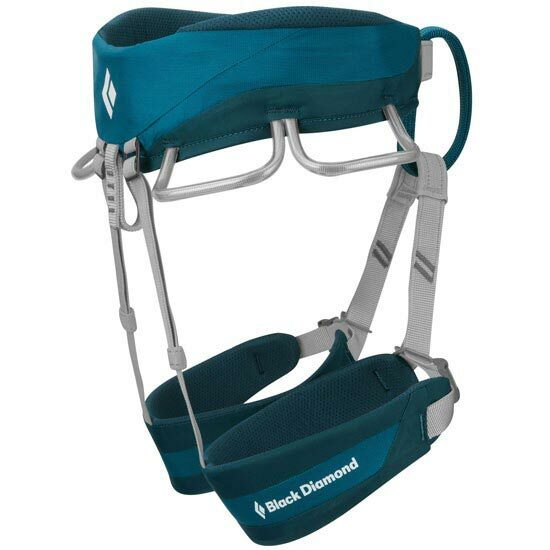 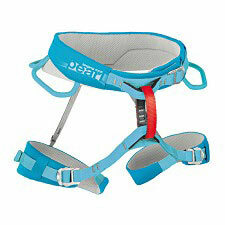 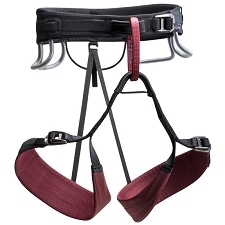 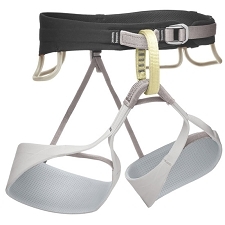 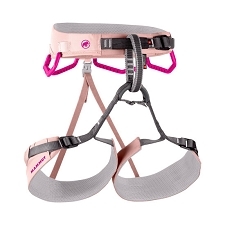 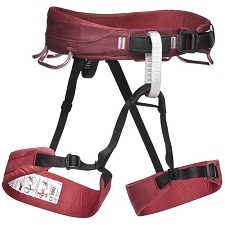 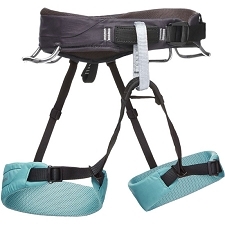 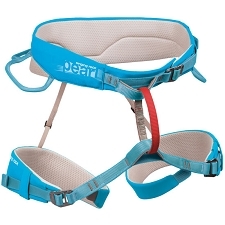 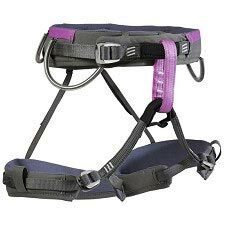 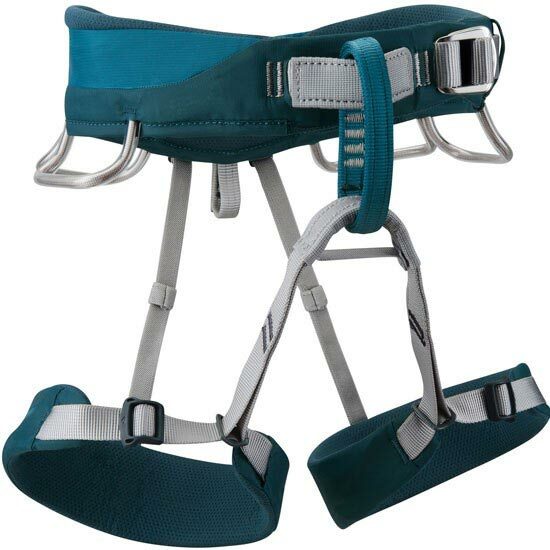 A highly popular harness for all-around use, the Women's Primrose Harness features a super-comfortable waistbelt and easy-to-use trakFIT™ leg-loop adjustments. 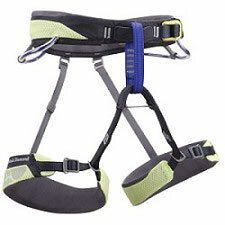 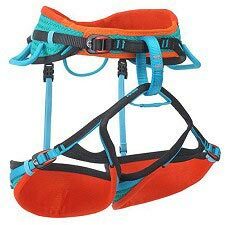 Designed for all-around female climbers who know that time spent fiddling with leg loops and adjusting a pinching waistbelt is time wasted, the Black Diamond Primrose delivers a time-saving design for all styles of climbing. 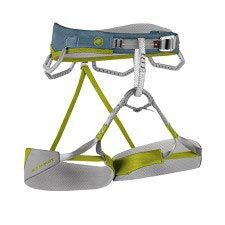 A pre-threaded Speed Adjust waistbelt buckle saves time and eliminates error when tying in, while Dual Core Construction™ puts an emphasis on comfort, even when you’re posted up at a hanging belay. 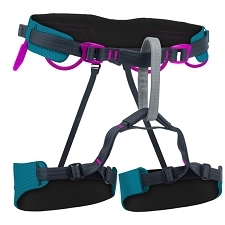 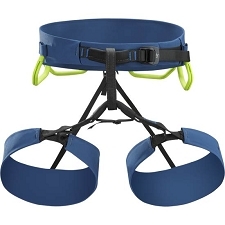 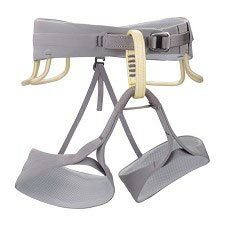 TrakFIT leg-loops easily adjust for cool fall days at the crag or blazing summer days on long multi-pitches, and four pressure-molded gear loops and a haul loop make this our most popular all-rounder.